An award-winning, third-generation machine shop owner, Mark Nowak has been in metalworking all of his life. He understands your machining needs better than anyone else in the business. You have concerns about quality, competence, and price; you have deadlines and responsibilities. Whether you require straight manufacturing or preliminary work such as prototype design, Nowak, Inc. 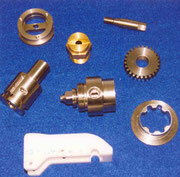 Precision Machine Shop Parts will help make your job easier and give you peace of mind. Nowak Precision CNC Machine Shop Parts provides consistent high quality as required for such demanding clients as General Electric. Whether you need one part or one thousand parts, consider the guaranteed design-build process provided by Nowak's Tool and Die Shop! To customers with high quality prototype and production machining requirements, Nowak Machine Shop welcomes you! We have established and maintained an excellent reputation for providing prototype and production machining to a variety of aerospace, electronics and medical industries, as well as numerous industrial and government clients. 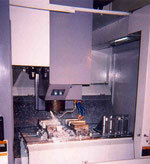 Nowak Machine Shop is qualified and willing to meet your prototype design build Machining needs. Whether your design is simple or complex, and whether you require a prototype or a full production run, Nowak Machine Shop is eager to meet your needs. Our modern, state-of-the-art facility (which includes sources for plating, heat treating and a variety of special processes) and team of experienced personnel allows us to consistently produce top-notch machine shop parts at competitive prices and in a timely manner. We can easily meet the most rigid commericial and military specifications, and neither the largest nor the smallest production run is a problem for us. We provide quality parts for industries such as food packaging, medical, pharmaceutical, military, transportation, and electronics; but our expertise allows for a virtually non-existent learning curve when working with new or unfamiliar industries. High-quality machine shop services begin with the best possible working relationship with our customers. To achieve this, we are committed to provide our customers with the best-quality parts, on-time deliveries, and fair prices. We build long-term relationships with our customers. From the early stages of development to the final product, we offer assistance whenever possible. Nowak Machine Shop works with each customer whether the job involves a single prototype part, a production run, or custom-built pieces. We provide only the finest machine shop services, which means communication with our clients is of the utmost importance to us. Welcome to Nowak, Inc Precision CNC Machine Shop Parts! 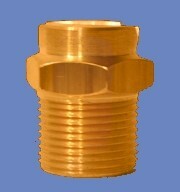 We offer more than just precision CNC machine components. Our business model requires mill test reports for all materials used in our facility. If they fall anywhere short of grade A, we will stop production and or locate alternative materials immediately. Our award-winning customer service process assures successful outcomes by documenting the process and your goals right from the start. We welcome blind bids and recommend that you shop around -- but when you need it done right, Nowak is the company with the history and experience to deliver the goods. The Nowak family started in 1934 and we're still going strong. Longevity in any industry suggests competence and long term repeat business!